Are you looking for one book that gives a comprehensive account of primary and early years English, language and literacy teaching? 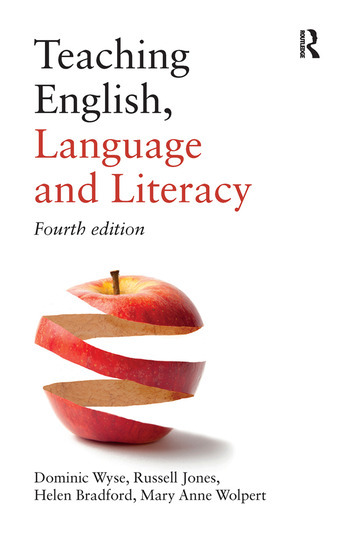 This fully revised fourth edition of Teaching English, Language and Literacy includes up-to-date research and updated discussion of effective teaching. Throughout the book there is guidance on England’s new National Curriculum and its impact. Rooted in research evidence and multidisciplinary theory, this book is an essential introduction for anyone learning to teach English from the early years to primary school level. All the chapters include examples of good practice, coverage of key issues, analysis of research and reflections on national policy to encourage the best possible response to the exciting challenges of teaching. Each chapter also has a glossary to explain terms and gives suggestions for further reading. This authoritative book is for all those who want to improve the teaching of English, language and literacy in schools. Designed to help inform trainee teachers and tutors, but also of great use to those teachers wanting to keep pace with the latest developments in their specialist subject, this is an indispensable guide to the theory and practice of teaching English, language and literacy. Dominic Wyse is Professor of Early Childhood and Primary Education at the University College London, Institute of Education. His research includes a multi-disciplinary focus on the teaching of writing across the life-course, including how writing works which is the subject of his most recent book. Russell Jones was a Senior Lecturer in Education and Childhood Studies at Manchester Metropolitan University. Helen Bradford is part of the early years team at University College London, Institute of Education. Her research includes young children’s development of literacy, focusing particularly on early writing. Her recently completed PhD looked at co-constructing writing pedagogy with two-and-three-year-old children. Mary Anne Wolpert is Affiliated Lecturer and Course Manager of the Primary PGCE course at the Faculty of Education, University of Cambridge.